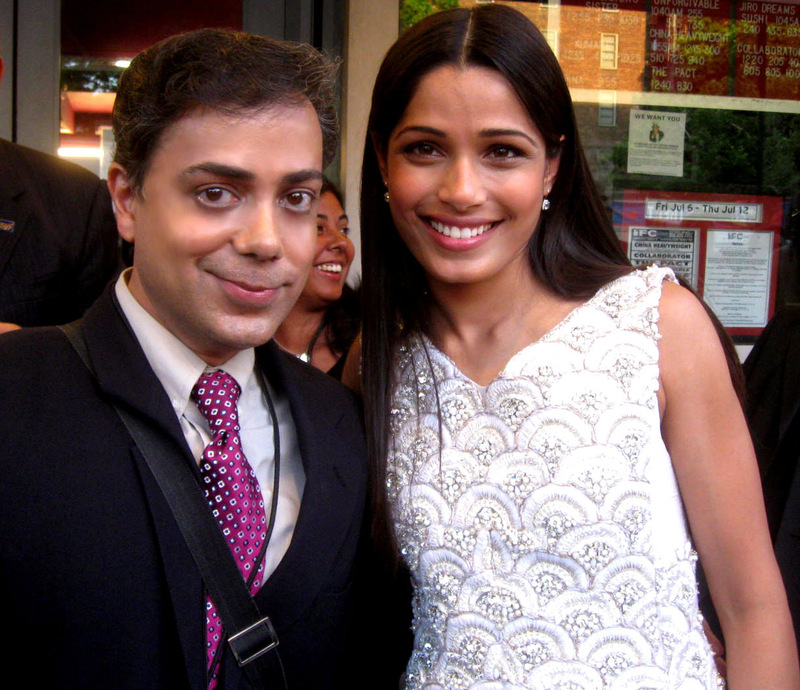 Frieda Pinto: A Star Is Truly Born! Frieda Pinto needs no introduction. Plain and simple folks. “Oh my God, did you see how beautiful she is?” said one alluring brunette with almond-shaped exotic brown eyes who was lucky enough to get a ticket to Pinto’s recent movie premiere in NY. “I’d marry her in a second,” boasted a stylish male Calvin Klein model who among many models was a guest at the premiere. Such is the kind of phenomenon that the young, stylish and sought after actress possesses. And oh by the way, she’s also a fine actress and when you see her latest film “Trishna”, you will totally agree. Pinto is a star in every sense of the word and over the years, as I have met and interviewed her, I have found her to be the most well grounded, mature and focused individual. As a child, she has always wanted to be an actress and has reached her dream at a very young age. Born and raised in an academic family in Mumbai, India, Pinto modeled, did some plays and took acting classes at the famous Barry John Acting Studio in Mumbai before hitting it big. The Slumdog Millionaire superstar who became an instant overnight sensation after the amazing film took home eight Academy Awards, has now become one of Hollywood’s favorite young actresses working with some of the biggest stars and directors. A chance only a few lucky and gifted actresses get in a lifetime. Pinto 27, had very little acting experience before she landed the role as Latika in “Slumdog Millionaire” and to be honest, her part in the film wasn’t even substantial compared to the star of the film Dev Patel. But when Pinto made screen time, you noticed. The captivating facial expressions, the on-screen chemistry with Patel combined with her innocent beauty, all catered to making her role an integral part of the movie. In other words, she had arrived. Pinto’s latest film, “Trishna” directed by the brilliant Michael Winterbottom (Yes, THAT Winterbottom) and based on the novel Tess of the D’Urbervilles by Thomas Hardy, is one of the most interesting and thought-provoking films that I think Pinto has ever done. As the lead actress , Pinto holds the film on her own and one can see that Latika has grown into a refined actress. Winterbottom is a gifted director. Plain and simple. Pinto plays the role of a simple, lower-caste Indian girl in exotic and beautiful Rajasthan, India who meets a dashing handsome man only to be swept off her feet in a short fairy tale romance. When the fairy tale is over, reality sets in and THAT’s where the drama gets good. Ok, no more on the story line folks. Pinto does an exceptional job playing the role of Trishna showing the multiply sides of her emotions when acting. Winterbottom clearly knew what he was getting when he cast Pinto in the lead. Pinto spoke exclusively to The Ravi Report about her journey into stardom and her new film. RR: Freida, always great to see you. You look simply gorgeous. It’s been a terrific journey for you so far, your thoughts? FP: Thank you so much. The journey so far has been fantastic but honestly, there is a lot more for me to learn and I have a good feeling that it is going to be upwards for me in terms of what I am going to learn from now on. RR: You are the lead actress in the film, carrying it completely on your own and you did an outstanding job. What kinds of pressures did you face working as the lead and with a brilliant director like Winterbottom? FP: This film (Trishna) is really my genesis and I never thought that I could carry a film and this is the first one. 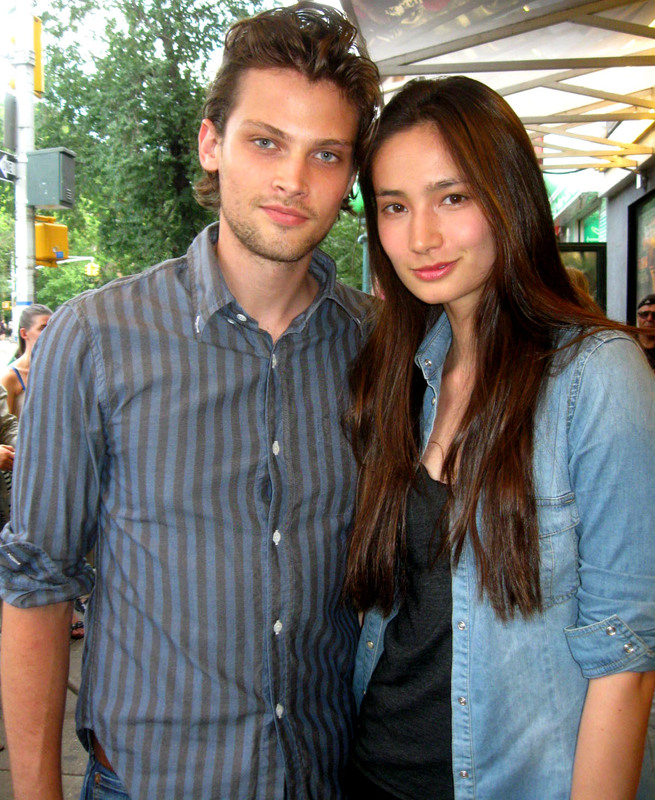 Michael (Winterbottom) really believed in me…and I am so happy that I took on the project. RR: One thing that is known in Hollywood, is that you do in-depth research when you accept a new film. How has your past performances in films helped with Trishna? FP: What’s really interesting for me is that I had such a good team and I have worked with the best in the film (Hollywood) industry and if I didn’t work with any of the directors like Danny Boyle, Woody Allen, Julian Schnabel, and Rupert Wyatt, none of this would have happened and I would not have had the understanding of how different directors work and how you can mold yourself into whatever character they envision you to be and understanding different nuances that I would not have understood. RR: You always speak so graciously to me about your projects Frieda. I will say you are one of the most well- grounded and humble stars I have ever met and it is always a pleasure to meet you. FP: Thank you for saying that, it’s kind and I am so grateful for it all. I really and truly am. The non-stop working and jet setting actress still makes time for family and friends. With parents in Mumbai and close friends in Hollywood, the captivating actress is constantly on the go. Now, with the tile of Global Brand Ambassador of Plan International’s Because I am a Girl campaign, the actress has added one more project to her already full plate embracing it with that million dollar smile! The journey continues…and for Frieda Pinto, it’s an AWESOME one! The world has now become very familiar with Mumbai. Not because of some blockbuster Bollywood extravaganza or some technological discovery but for the worst terrorist attack ever that killed more than 170 innocent people sending shock waves through the city of 19 million people. It was way to close to home. For me, Mumbai is my second home. For almost two decades, as an journalist & producer, I have travelled to the exotic city for stories, personal visits, Bollywood interviews, weddings, film premieres, you name it..I have gone to Mumbai for it! I have seen the city transform over the years into a modern, energetic and incredible place for the world to visit. 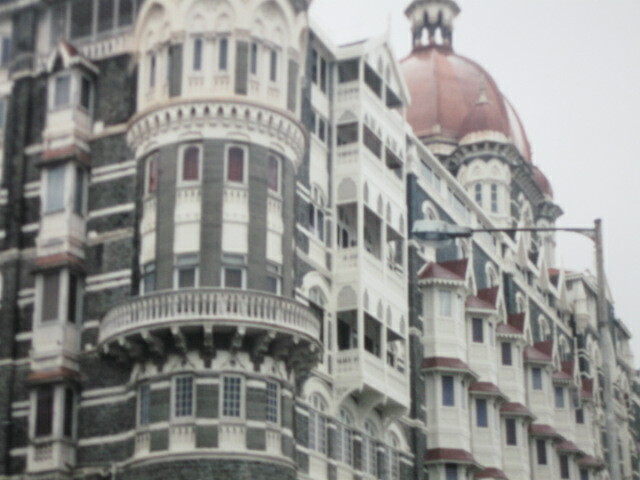 Picture of the majestic Taj Hotel taken on my last trip to India in 2006. Special memories of dining at the Taj Hotel attending social gatherings and Bollywood parties at the historical venue or just hanging out with friends while enjoying a strong cup of chai at the Leopold Cafe, were all flashing before my eyes as I saw the attacks on television. Could this be really happening? I had to ask that question to myself over and over again in disbelief. The Taj? No way. I thought places like the Taj were not targets of terror but luxurious places of safety & pleasure. But like many of us, I was boldly incorrect and a bit naive I might add as well. The first thing I did was text all my friends/relatives/contacts to make sure they were ok. Thank God they were. Then I continued to get updated text messages from my journalist friends staying in Mumbai telling me what was happening. They were scared and filled with uncertainty- I can sense it in their texts. Many had rushed to shelter in strangers apts for the moment while others made quick new friends trying to get out of the city back to NY. A few were concerned about the safety of the other historical buildings like the famed Gate of India or the famous temples. At that particular moment, nothing seemed safe said one contact. 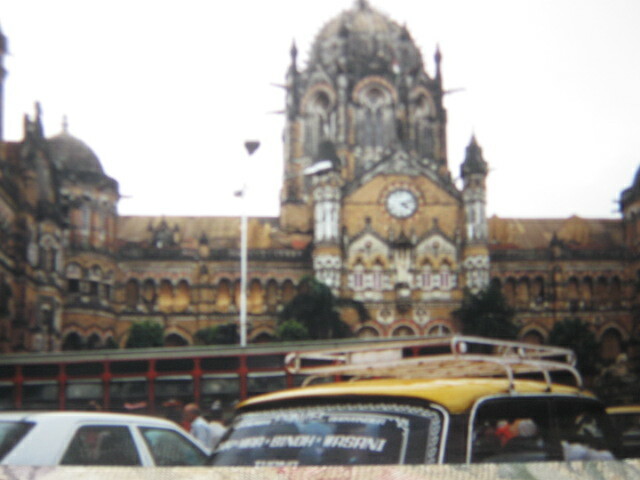 The Chhatrapati Shivaji Terminus that was attacked really hit close to home. I have been to and travelled to that station dozens of times over the years. Even in the worst monsoon season with torrential downpours, that station never closes. But all I could see on TV were empty halls & blood stained floors. Chhatrapati Shivaji Terminus, Mumbai, India. A lifeline for millions of daily commuters. The last time I was in India, a bomb went off near another hotel I was staying at in Mumbai and immediately the staff advised all of us foreigners to stay in our rooms and not to open the door until told to do so. Flashbacks were coming back indeed. The attacks maybe over, but the residue and images of terror will be lingering on for time to come. “The city is slowly getting back to normal” said my friend Rahul, an producer in Mumbai. “But there is a still a bit of a fear factor in the eyes of people walking the streets” he cautiously commented. I am planning on going to Mumbai soon with my best friends. The trip was planned way before the attacks. “Are you still going to go?” asks my friend Rachel who like many who are concerned about people going to India now. “Of course without a doubt “. I replied.